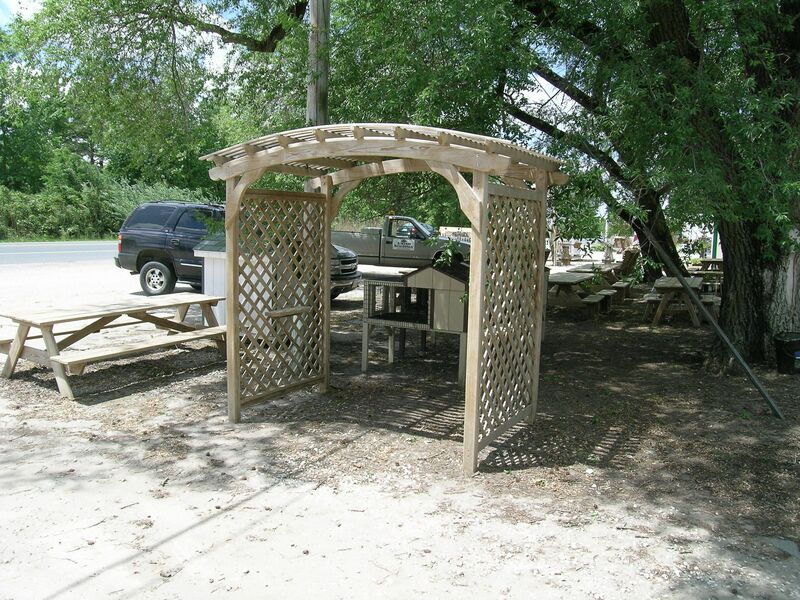 Our Amish built arbors, side extensions, gates and swing frames can add a beautiful and unique feature to your yard or garden. Constructed from pressure treated pine, they are available in a variety of styles, sizes and latticework to create the distinctive look you want for your outdoor living area. Depending on your choice, you can load it up and take it with you or have us deliver it locally for a nominal fee.